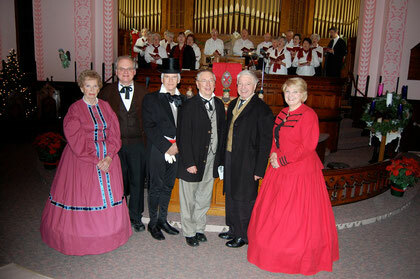 On Sunday, December 4, 2011, Lakeshore Drive United Church hosted a Dramatic Reading of "A Christmas Carol". with Robert Jones, Conductor, and Margaret Whisselle, Soloist. Proceeds from this event will benefit the Winchester District Memorial Hospital Foundation and will be matched by local Scotiabank branches. Thanks to all who participated and supported this event.